The Treasury, has been another avenue of the vicious war between the State and the Judiciary. The National Treasury, the behest of the Executive, has steadily reduced the budget of the Judiciary as part of a subtle play to keep the institution on a leash. For the last six years, parliament and the Executive have continuously slashed the budget of the Judiciary with a view to crippling it completely. For the financial year 2018/2019, Treasury CS Henry Rotich was given instructions to reduce the Judiciary budget to the pre-2010/2011 level, and “provide salaries and recurrent expenditure only”. 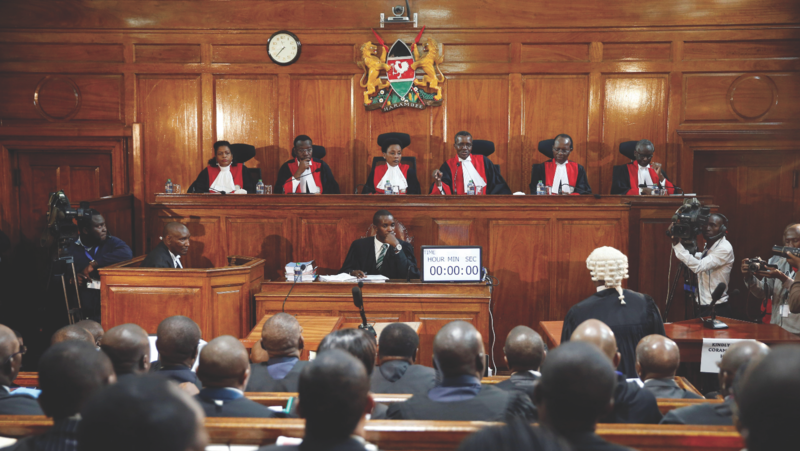 For a country whose constitution has access to justice as one of its key pillars and that continually pledges to facilitate a strong institution of justice, an allocation of an average of 1% of the total budget, as lamented by CJ David Maraga last month – against an internationally-recommended ratio of 2.5% – does not begin to cut it. But when this ratio is again reduced without justification, the extent of disdain by Government for this institution begins to be manifest; it exposes the lengths government is willing to go to contain a surging institution.